Mommy has been busy taking care of Ashley and does not have time to maintain her blog at http://taipeiwife.blogspot.com anymore, so she asked for my help to blog about eating out in Taipei and sharing photos of delicious food with our friends. 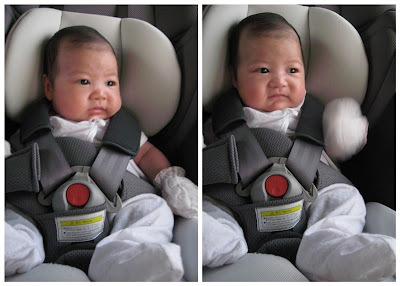 Ashley went along too, she didn't look quite comfortable in that car seat, but it is mandatory to be buckled up. Anyway, she loves car rides and she always sleeps until we reach our destination. 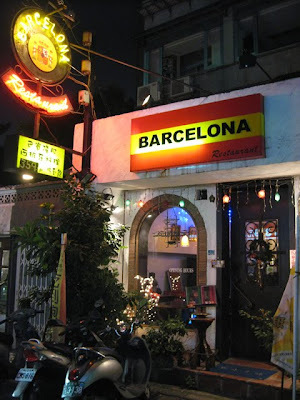 Barcelona, that's the name of the restaurant! 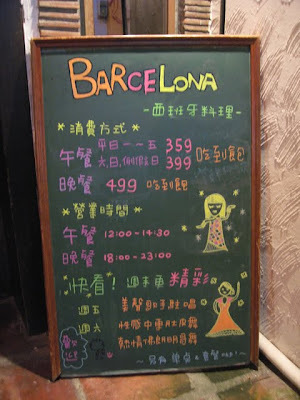 They have live singing on Fridays and Belly and Flamingo Dancing on Saturdays. 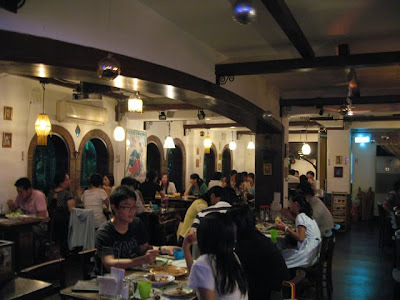 The restaurant has a nice cozy feel. It was all packed on a Friday night. 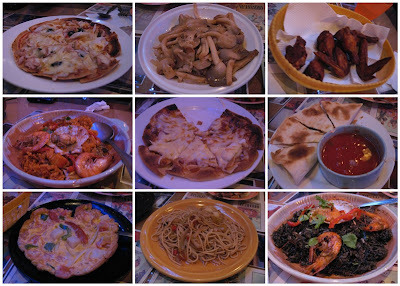 The tapas were all excellent and the pizzas were especially yummy. In fact, they enjoyed every dish that they ordered. Mom had not drank a drop of alcohol since she found out that she was pregnant with Ashley. 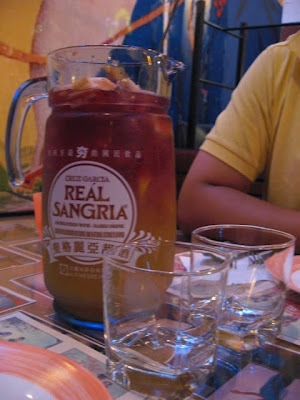 She was very happy that night because she finally got to drink some sangria. 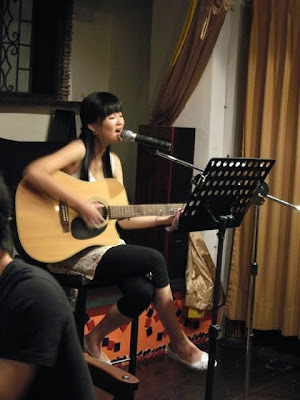 This was the singer, she has a beautiful voice and it made the dinner even more enjoyable. Have a great weekend everyone, eat well and have fun! Look at all that food! I´m drooling here, buddy! 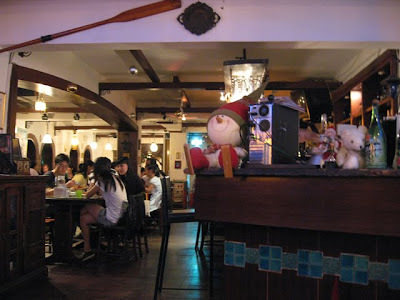 That restaurant looked very cozy and the food super yummy! Oh food...you're so lucky Dino! All that food for you to try!!! ohhh dino... your humans do know how to have a good time... to bad you weren´t invited.. that´s not fair! Ashley is soooo adorable! She's growing sooo fast! Glad they had a nice time there at that restaurant! Spanish belly dancing?? Hmmmm..
Oh, Dino - one of the thing I've always loved about your blog was the restaurant and cafe reviews - your human is so good about taking photos of the dishes and providing addresses & contact details and even maps! I'm sure it is so helpful to people who are visiting or living in Taiwan.